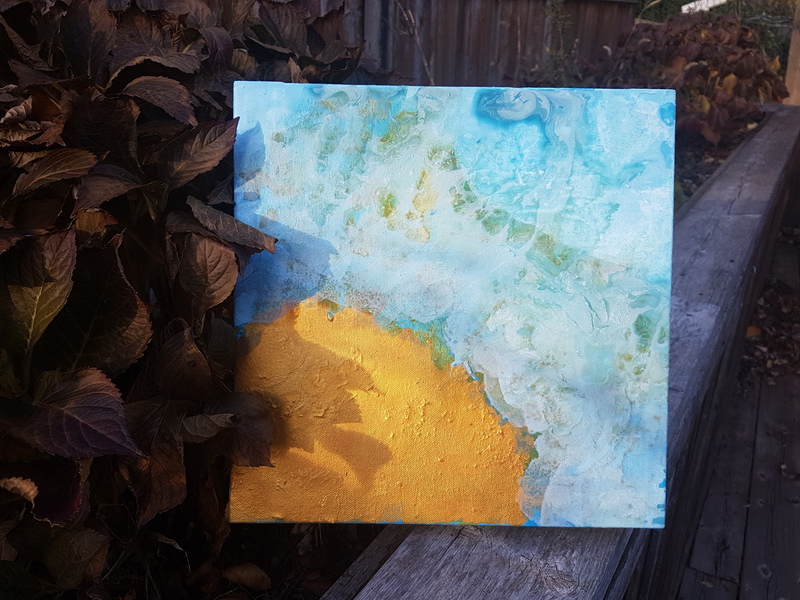 My latest painting is a splendid mix of bright yellow, iridescent blue, and white. There is a surge of excitement in this piece, and some mystery as well. As of yet, this painting is unnamed, which may as well be since I feel like it will have a short time with me as its owner. The eclectic blends and pops of colour on this unnamed work make it ideal for digitizing– a run through on Photoshop would produce some interesting lines that are invisible to the naked eye. I feel like there is a story being expressed here- the bright yellow is the base layer, excitement and uncontrolled raw delight. The Id. Over head, clouds of opaque blue close in, partially encompassing our view of the excitement. Protective. Finally, white snow splashes and swirls at parts encroach over it’s lesser layer. Reason and altruism. A few blue explosions that look mysterious in their origins remind us to expand once in a while. As always, I love comments! 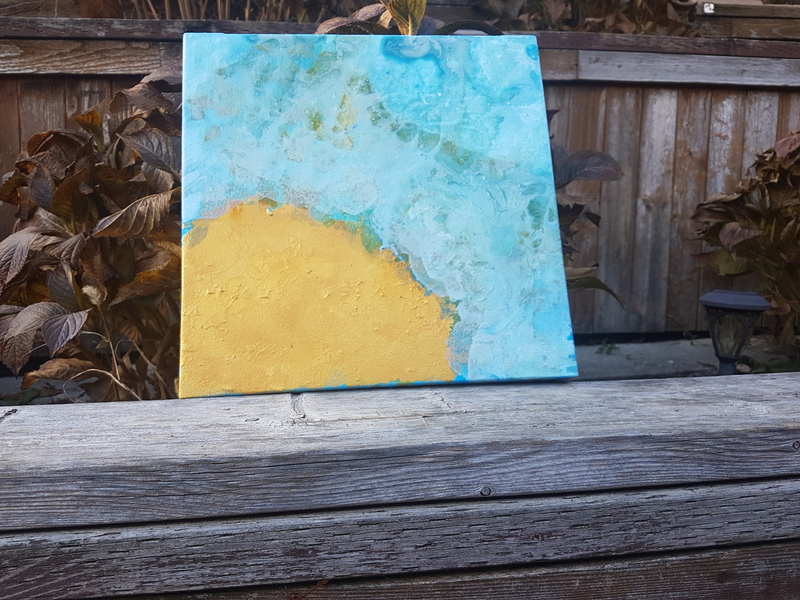 My latest painting is another example of my study of the sun. It features light whisps of glossy clouds as the backdrop of a pulsing golden sun. I used texturing compounds to add variety to the surface of this painting. It has a muted style that sets it apart from many of my other paintings on this subject. Thank you for stopping by! I appreciate your comments and I look forward to reading more.